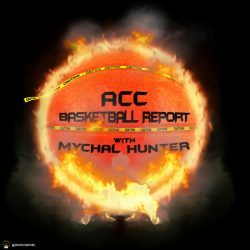 The ACC is done but did it fail? So every team from the ACC has officially been eliminated from the the NCAA Tournament. 2018 marks the first time since 2014 that the ACC did not place a team among the last four standing. Given the rich history of the conference, one question needs to be answered: Did the conference fail this year? Now if you are a fan of a blue blood program, and we have a couple in the is conference, every year is a year you expect to not only be invited to the dance but also take home the queen. While not everyone gets to nail the prom queen, at least in the world of college basketball you get paid for earning your invitation. According to Herosports.com, each team in the NCAA Tournament field gets a cool $1.7 million just for being invited to the dance. Now, that money is not paid directly to the program. It is distributed equally, over a 6 year period, to every team in that program’s conference. The $1.7MM is good for every game a program from your conference plays in. The ACC just sent nine teams to the tournament. 11 appearances x $1.7MM = $18.7MM + the $17MM from the first round games = $35.7MM. That is $2.38MM being contributed to each school in the ACC over the next six years. Roughly $397,000.00 per year rolling into the coffers. What really blows your mind is when you start to add all the checks up. UNC won it all last year, those checks start rolling in this year. So next year, you get units from this years runs and the last years runs. It is a stupid amount of money, one might even call it an egregious amount money, bordering on unseemly. At the end of the day though, it really is all about education and the integrity of the game. Next PostNext Happy Zombie Jesus Day!